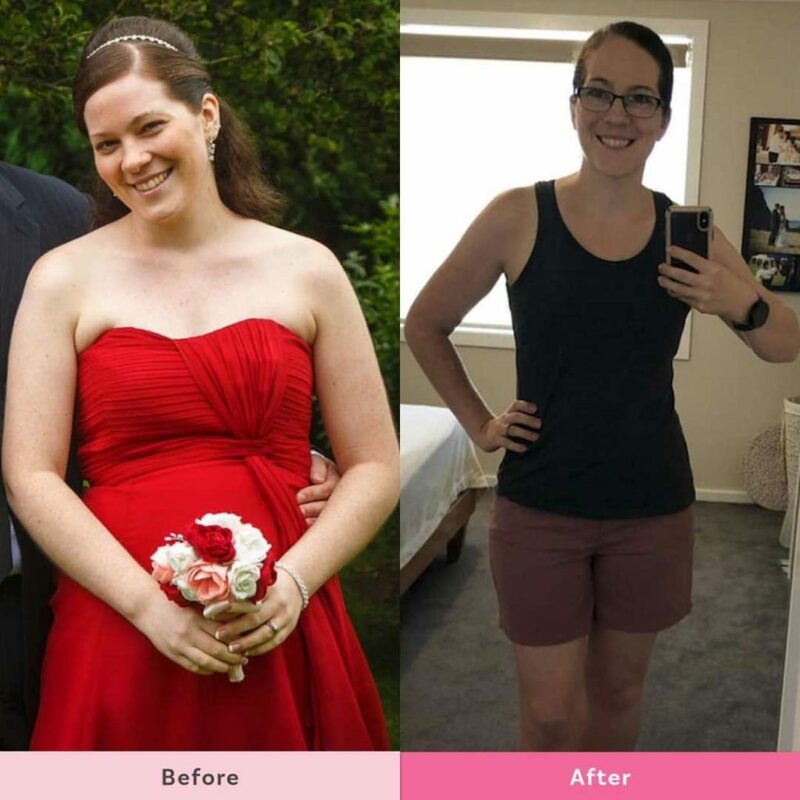 Six amazing mums have all lost dress sizes and gained new found confidence! It’s not just the kilo’s lost that these six Healthy Mummy’s all have in common. 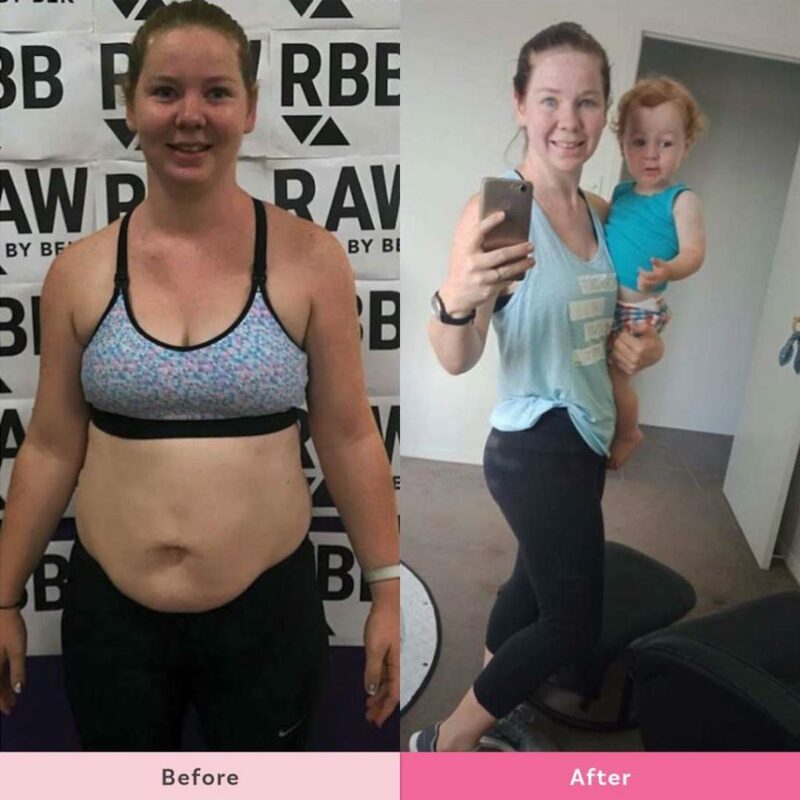 They’ve all embarked on a life-changing health journey and are smashing their goals! We love sharing their success stories! Julia says “Consistency, hard work and determination to reach your goal will get you there. Size 14 to a size 8. I’ve had so many ups and downs on my journey that I lost count and I’m sure there will be plenty more to come but I always get back on the wagon eventually and that is what counts. Beth says “I have been completing The Healthy Mummy 28 Day Weight Loss Challenge for just over two years. I have one Healthy Mummy Smoothie a day, and two Challenge meals a day. I complete the Tabata app exercise three times a week at the gym. I have lost 24kg (18kg in the first six months, the rest has come of slowly over time). I took the photo on the left the day I signed up to my first 28 Day Weight Loss Challenge. 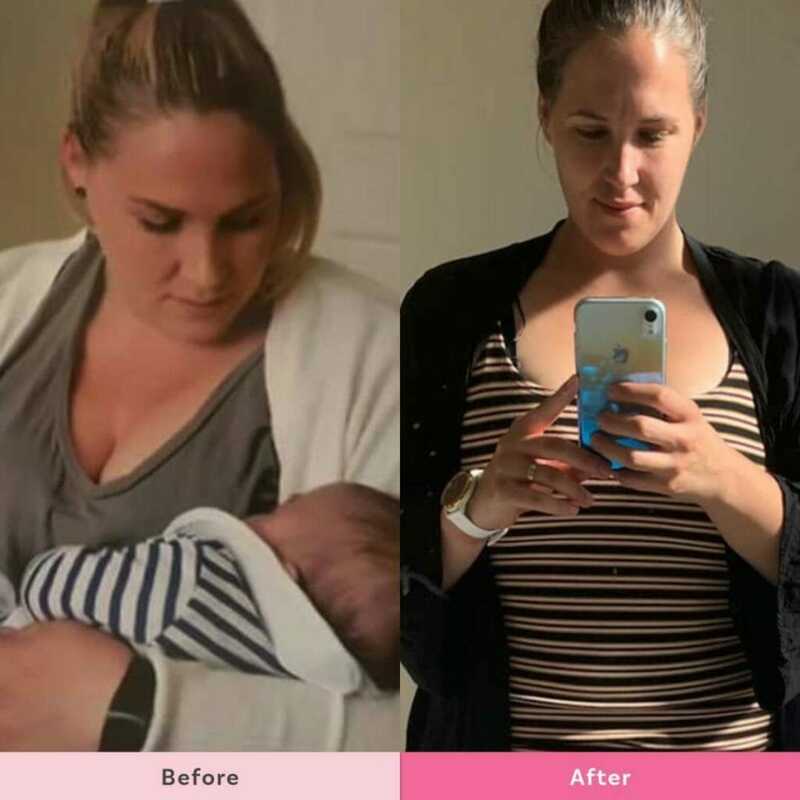 I needed to change, I was unhappy with myself, my second child was six months old and three times I had been asked if I was pregnant. I really enjoyed my first Challenge and we are now a healthy active family that enjoys exercising together. 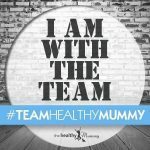 The Healthy Mummy really works for me and my family! I will be a Healthy Mummy for life! Learnt to de-stress by running instead of eating! 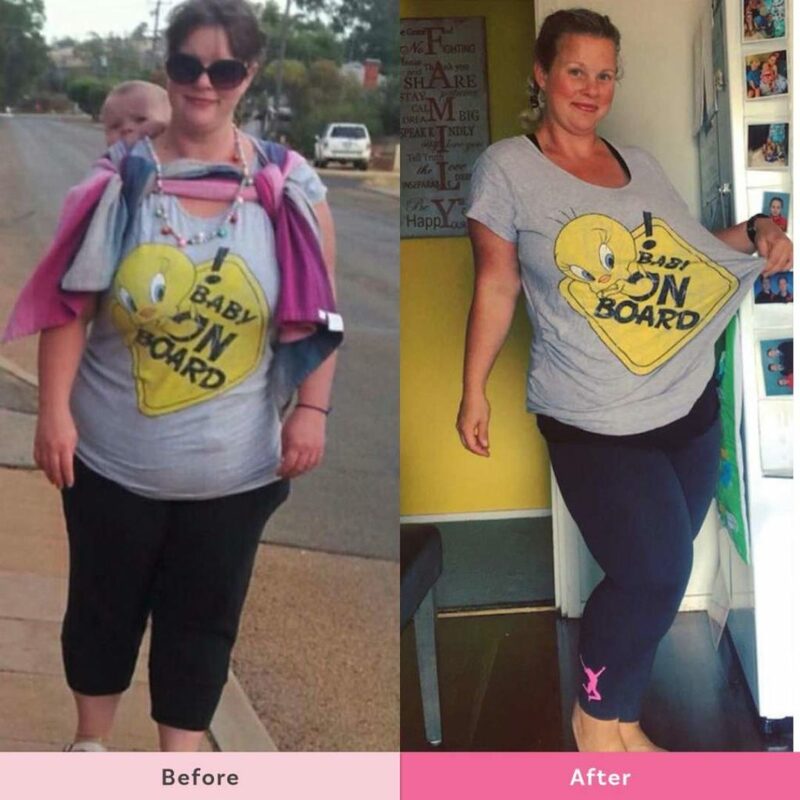 Belinda says “I may not be where I want to be just yet or even reached my ultimate goal weight but I WILL get there! I am happy with how far I have come and the changes I have made to not only mine but my families life! I am happy with my progress big, small, fast or slow! I am celebrating every win! I break my goals down into small achievable goals and work towards them I like to do 5kg increments that way I don’t get overwhelmed by the big number I have to lose. I celebrate reaching each goal with a non food reward to keep me motivated! Commitment and hard work will get me there! It isn’t easy and I may stumble at times but its all worth it! 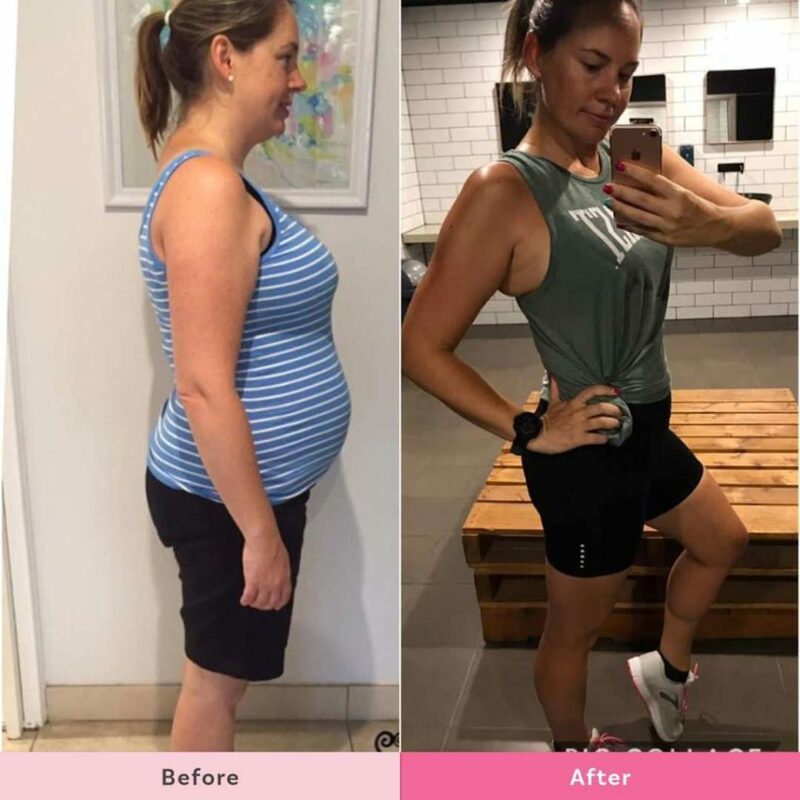 I am now a Healthy Mummy and damn proud of it! I love love love The Healthy Mummy! It is so easy to follow and completely family friendly. Toddler and husband approved. I always see before and after photos and it makes me so determined to keep going. So I hope sharing this encourages somebody else to keep pushing – we got this!